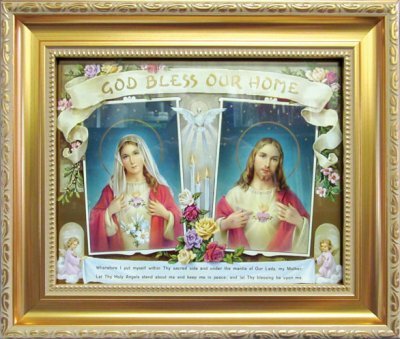 10"x 12", Beautiful ornate gold framed picture of the Sacred and Immaculate Hearts. Great gift idea for wedding! 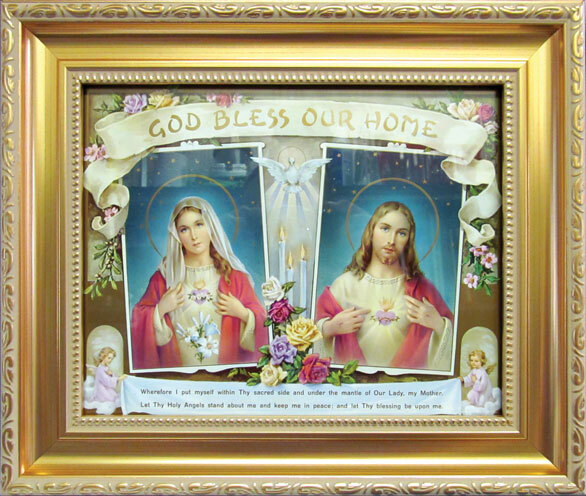 Verse at bottom of print: "Wherefore I put myself within Thy sacred side and under the mantle of Our Lady, my Mother. Let Thy Holy Angels stand about me and keep me in peace; and let Thy blessing be upon me."